Children should begin regular dental visits at age one. Good dental care can start as soon as your baby?s teeth are visible, which typically begins at approximately four months of age. Initially, you may want to use a washcloth to clean your child?s teeth and eventually move to a small toothbrush. Although you may think that it is not necessary to emphasize dental habits until adult teeth begin to come in around age six, baby teeth act as placeholders for the permanent teeth, and damage to them can cause substantial problems later. Fluoride varnish, a high concentration fluoride coating that is painted on teeth, can prevent about one-third (33%) of decay in the primary (baby) teeth. Studies in children show that sealants reduce decay in the permanent molars by 81% for 2 years after they are placed on the tooth and continue to be effective for 4 years after placement. If your child is younger than age 2, do not use fluoride toothpaste unless your doctor or dentist tells you to. There are in fact many reasons why a child needs to see the dentist. According to some statistics, there is a great deal of school time that is lost because children do not see the dentist. There are also statistics about how children who do not see the dentist. They are included two sections down. A dentist can teach a young infant the proper brushing techniques, which are important to learn at a young age. It is much easier to keep a new habit if that habit has been instilled at a young age, compared to learning it later in life. The parents can also help with this, along with the children dentist. Many children do not see the dentist, and this results in a loss of time in school, as nurses in the schools have to deal with dental problems. This removes students from the classroom, where they should be learned. The statistics on this are shown in the following section. Children with poor oral health are 3 times more likely to miss school as a result of dental pain. Twenty times more common than diabetes and five times more common than childhood asthma, tooth decay (dental cavities) should be an important focus of your attention as you look to maintain your children’s health. A report by the Centers for Disease Control and Prevention revealed that 19 percent of children aged 2 to 19 have untreated dental caries. 42 percent of children aged 2 to 11 have had caries in their primary teeth, according to the National Institute of Dental and Craniofacial Research. There are many terms associated with dental cavities, the dentist, and more. They include oral hygiene, oral hygiene for kids, kids orthodontics, pediatric dentistry, pediatric dental exam, pediatric dental care, pediatric dental clinics, pediatric dental treatments, pediatric dental services, and the pediatric dental office. 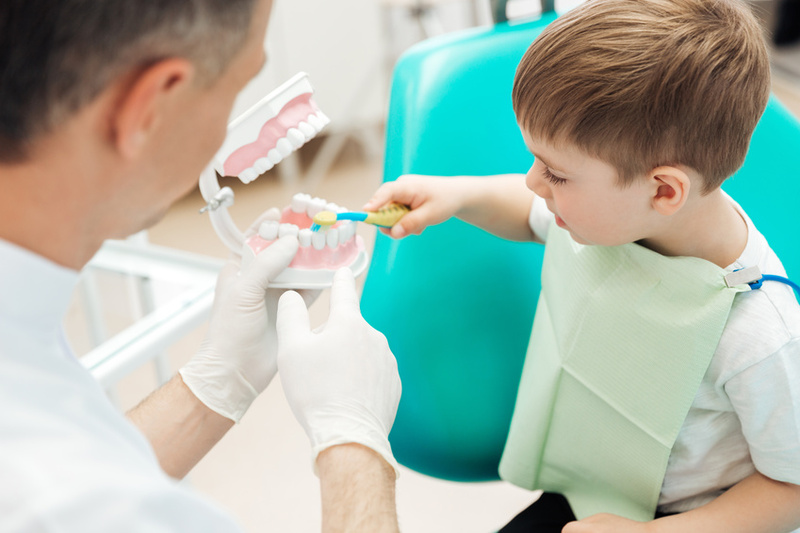 There are many reasons why it is important to take a child to see a children dentist. A child may have cavities, as one of these statistics shows. The child may need to be instructed as to good dental hygiene habits, which can also be done in accordance with the parents. A child may have caries. A child will miss time in school if they have dental issues. They may need to stay home from school because of the pain in their mouths or they may spend time with the nurse because they are suffering from pain.